DJ Groove Productions is the most experienced DJ in Fayetteville, Arkansas. WIth over 20 Years of experience, this Northwest Arkansas DJ will make your event memorable. Welcome and congratulations on finding the most experienced and award winning DJ in Northwest Arkansas to entertain at your upcoming event. Click on the navigation links to learn more about Groove Productions and our 25 years of making memories for NWA brides and events. Be sure to like us on Facebook and Instagram for exciting photos from all of our events as they happen- see links below. One of our biggest selling points compared to other DJs is the fact that when you hire Groove Productions you are getting the two owners of the company at your event. We have considered expanding our business many times over the past 25 years, but we simply do not trust anyone else to be your DJ. 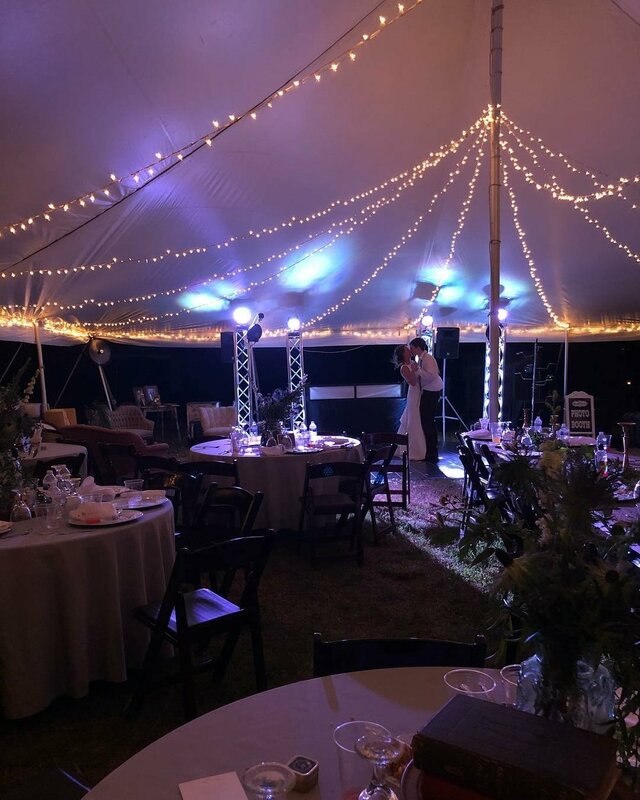 We always receive compliments from our brides, wedding vendors, and even the guests at our events on how classy our lighting show is. Photographers love when they see Groove Productions on the vendor list, because they know they can capture amazing shots on the dance floor with our light show in the background. Just check out our photo gallery for some samples of what we're talking about. Brides have asked us for years if we had a photobooth- and now we do! But this isn't your normal photobooth, this is a photo experience! See the Magic Mirror link below to learn more!!! Check out our new Magic Mirror photo experience!